As he was under 16, Will Cuhls, a pupil at Haberdashers' Adams, couldn’t join his mother Ruth for “take your child to work day” on the children’s ward. 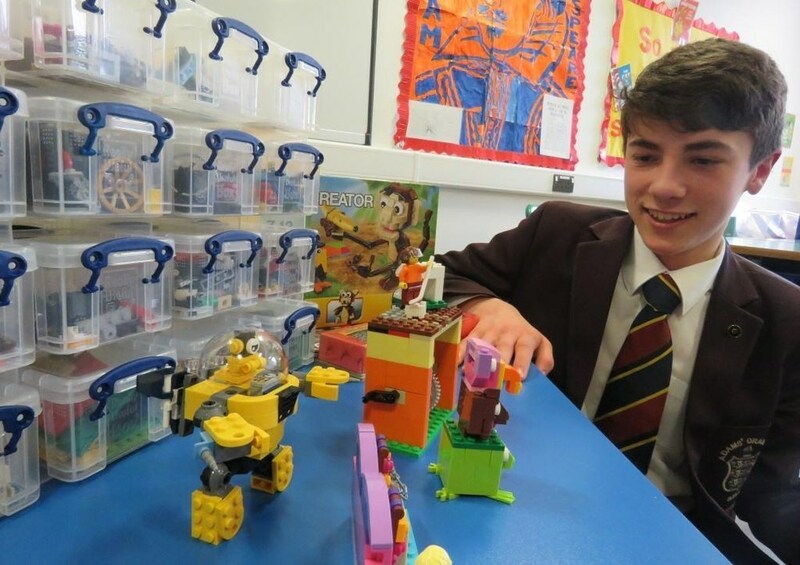 Instead he spent three days researching, creating and testing the different sets which include Lego zipwires, balloon racing cars, robots and mechanical toys. They will be used mainly by oncology patients – and also those who are long stay in the hospital and recurrent patients – as part of the educational activities in the schoolroom on the children’s ward. The equipment, which also includes Lego storage boxes and books, has all been funded by The Harry Johnson Trust, which supports and helps children and teenagers receiving care from the oncology team at PRH.